My mother bought a large breeding group of cornsnakes a few years ago. She decided she would like to keep them in a rack for the ease of maintenance that a rack system gives you. She had nearly 20 cornsnakes, so we decided to plan the rack for 20 adult snakes. 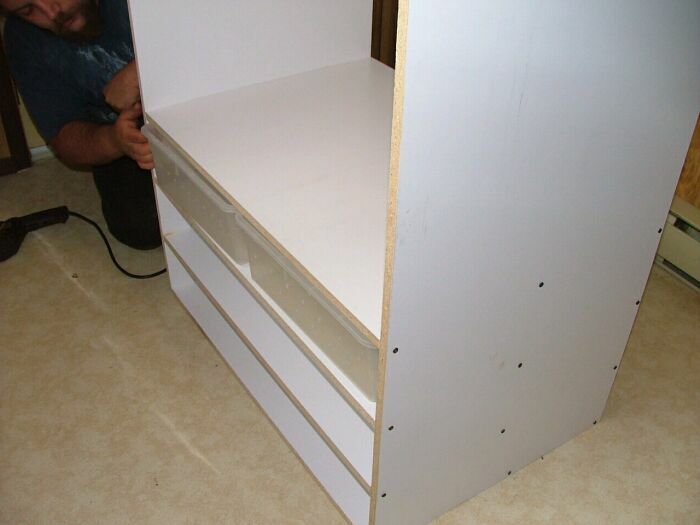 The following pictorial represents the easiest and cheapest rack to build. We took a full 4x8 sheet of melamine and had it cut in half to make the sides. The other 2 sheets of melamine were cut into 2'x4' sections. Once I had the 2 side peices secured to the top peice, I flipped it upside down to add the extra racks. 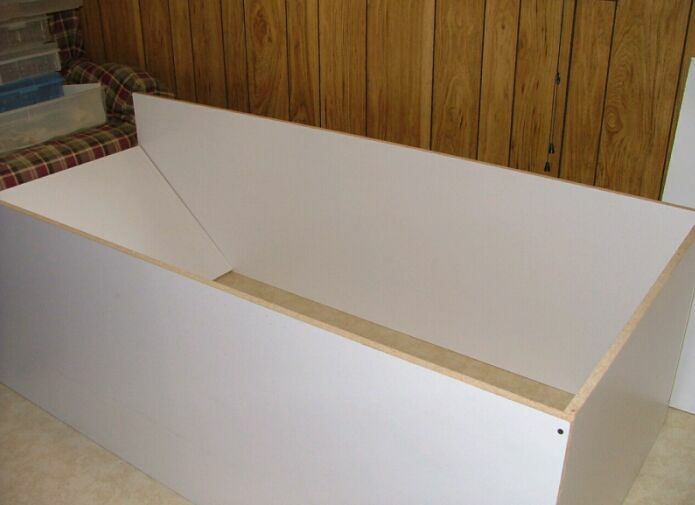 We placed 2 tubs between each sheet, and a C.D between the tubs and melomine to add a small gap for ease of tub sliding. I kept doing that until I had taken all of the space up to hold 10 rubbermaids in total. 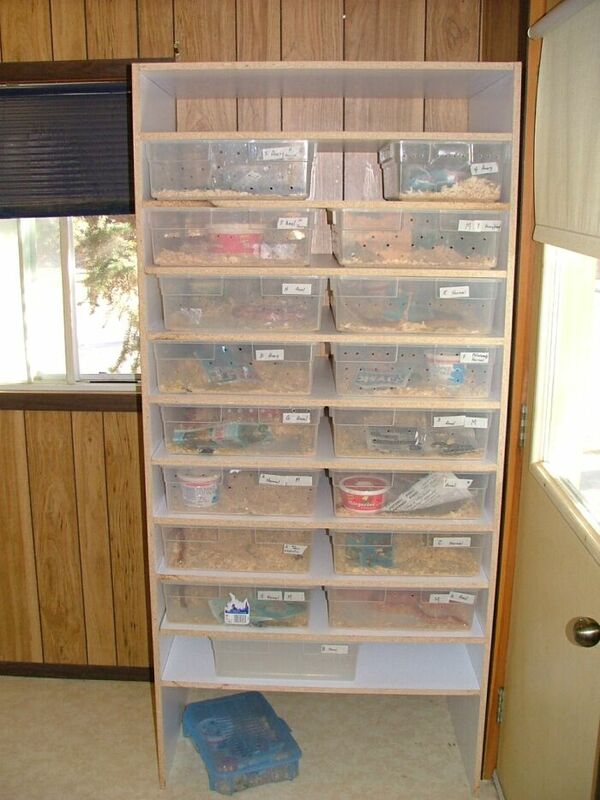 The empty portion at the bottom helps keep the snakes off of the cool floor. The top of the rack as well as the unused portion in the bottom acts as very good storage space for extra stuff.